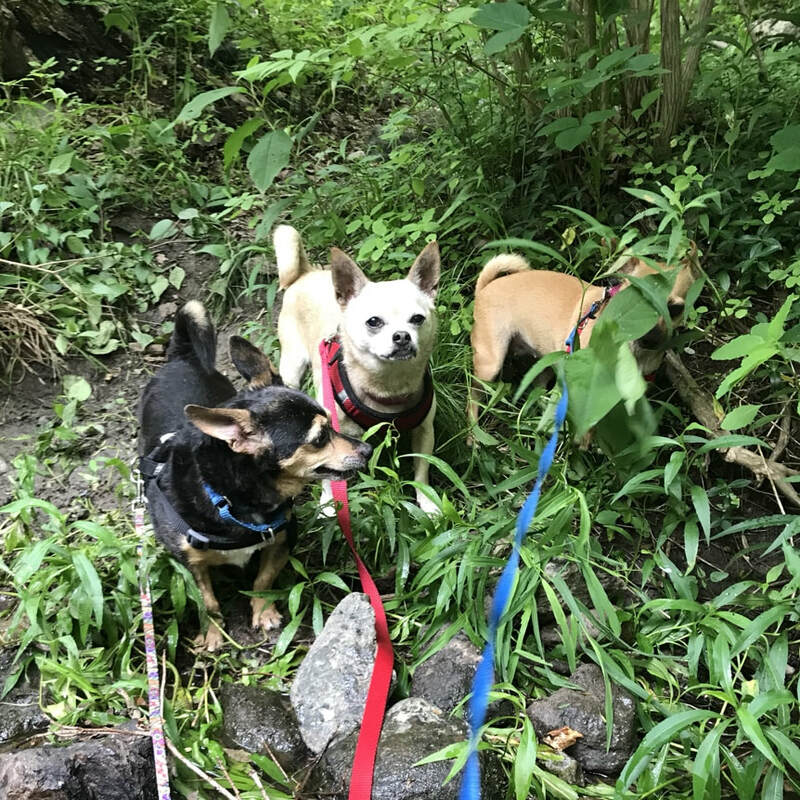 Persephone and Tomaso were a pair that when we rescued them... the day they arrived to us they demonstrated their open and friendly natures by joining a larger pack of canine pals! It was as if they were life long besties with their new friends.. same thing with staff..these little sweeties were all snuggly and right at home with everyone! We LOVE having the "littles" packs and Miss P is a fabulous addition.. She seems to possess a certain wisdom and confidence that makes her rise to a higher status in the pack.. It appears Persephone can control situations with a vibe.. or a glance ..she has the power!!! When play gets a little too wild for her she lets her pack know to CHILL IT... and they do! Persephone is a cuddly little lady.. she has an adorable underbite and a sage expression.. her coat is such a pretty blond color with a feathering of grey around her shoulders and ribs.. her tail curls over her back an her tiny nose is turned up and black as night! ​We have discovered that little Sephie LOVES to go for long hikes and explore. We walked and hiked for over two hours one day... she didn’t slow down one bit! We even encountered a small creek during the hike and sure enough, confident Persephone didn’t skip a beat! She plopped right through the water!! She’s got the wonderful little dog trait of loving to go out for fun exercise and activities but will chill out on your lap all day as well. Such a happy little gal!